When it comes to seaside resorts in the North, none can compare with the northern town of Scarborough. One of the most popular holiday destinations in England, the seaside town stands alongside Blackpool and Southport in attracting thousands of visitors each year. Situated in North Yorkshire, Scarborough is the largest holiday resort on the Yorkshire coast. With beautiful sandy beaches and plenty of seaside attractions, Scarborough has been hailed as the gem of the North. Like many other seaside towns across Britain, this town is full of its own rich history and backstories, reflected not only in its landmarks but also in its impressive architecture. 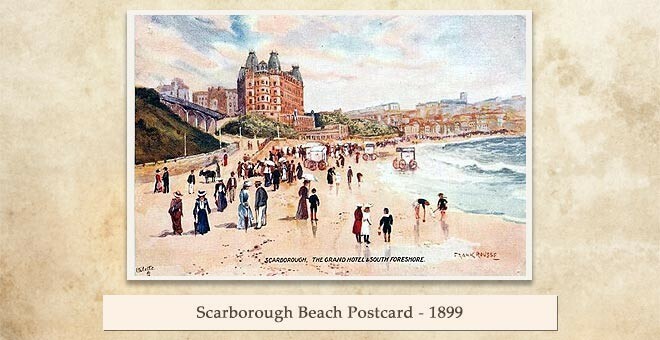 The town of Scarborough rose to prominence in the early 17th century due to natural mineral waters that were discovered in the area. The mineral waters were thought to have brought medicinal benefits which therefore led to a spa house being built in the 1700s. The mineral waters attracted a large number of customers and therefore led Scarborough to become recognised as a spa town. 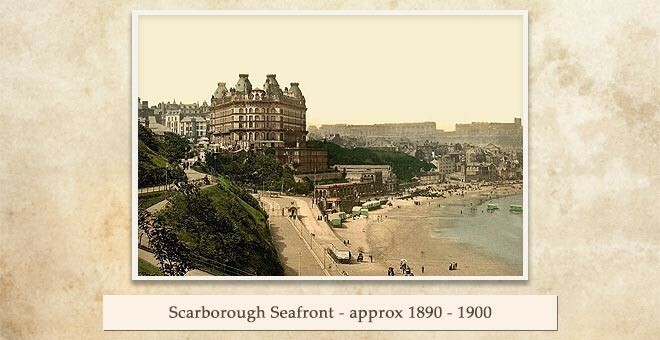 Due to the considerable growth that this brought, Scarborough became a more developed town and went on to become one of the first ever seaside towns in the UK. 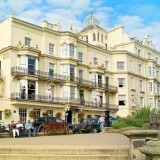 The Grand Hotel sits in the heart of Scarborough and it is acknowledged as one of the most iconic landmarks in Scarborough, with history dating back from the 19th century all the way through to the Second World War. The Grand Hotel Scarborough was first devised in the early 1860s, when a group of Yorkshire businessmen saw potential in building a lavish hotel in the up and coming seaside town of Scarborough. In 1863, building began; however, it was a long process due to lack of funding, which forced a yearlong interruption in construction. Design and planning for the new building was assigned to Hull-based architect Cuthbert Brodrick who had designed a number of properties in the North East. Construction costs for the project amounted to around £100,000, which would be the equivalent of around £11.5 million nowadays. However, it proved to be a wise investment with its opening, on July 24, 1867 as ‘the largest and handsomest hotel in Europe’. When building was completed in 1867, the vision had become a reality and Scarborough finally had a hotel to boost the town’s reputation as a holiday destination. 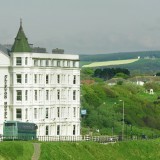 Along with its vast size, The Grand Hotel, Scarborough was built in unusual V-shaped style in honour of Queen Victoria (the head of the monarchy at the time). What also made this building so interesting was the unique motif: four towers to represent the seasons, twelve floors for the months of the year, fifty-two chimneys for the weeks of the year and 365 bedrooms to represent the days in the year. Another intriguing selling point of the hotel was that it offered extra taps that let its customers bathe in salt water as well as fresh water. These quirks, coupled with the high standards of service and clientele, made The Grand Hotel a favourite among holidaymakers. The additional taps in the hotel’s spa were particularly popular, and many guests chose to stay at the Grand for this reason specifically. At this time, The Grand Hotel was also named as the largest hotel and the largest brick structure in Europe. 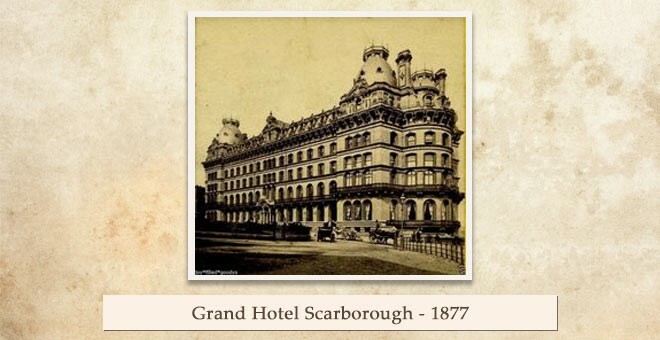 In 1887, The Grand Scarborough took another step towards cementing itself as the leading hotel in Scarborough when it forged a link with the local cricket festival and began opening its dining room to attendees. This was yet another stride towards ensuring business for the hotel, and further helped its reputation in Scarborough and the surrounding areas. 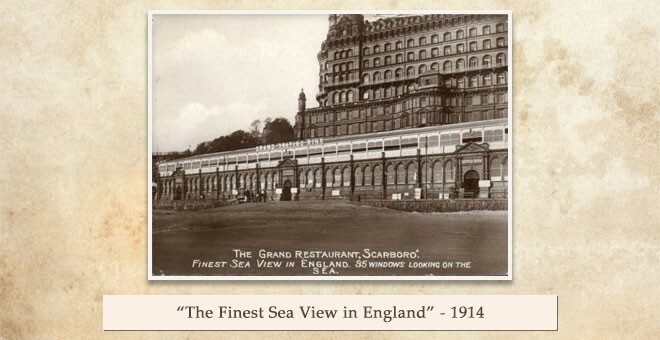 During the 1910s, The Grand Hotel Scarborough was the place to be within the area and even provided evening entertainment. However, during the First World War, a bombing of Scarborough and Whitby plunged the hotel into financial difficulty. During the following years, the hotel changed ownership twice yet still managed to pull in wealthy customers, and the overall atmosphere became more relaxed. Despite these changes, The Grand Hotel continued to be a favourite among the upper classes, with post war visits from The Prince of Wales, who was later crowned King Edward VIII. Several politicians were also spotted at the hotel, with the first ever Labour Prime Minister – Ramsay MacDonald –making a visit as well as Prime Minister Winston Churchill, who visited for a Conservative Party conference a few decades later. The Hotel first became linked with wartime activity during World War I, and since then has been involved in many wartime situations. The first of these instances came in 1914, at the start of World War I. When the fighting reached the British shores, The Grand Hotel was one of the many costal buildings to be damaged. 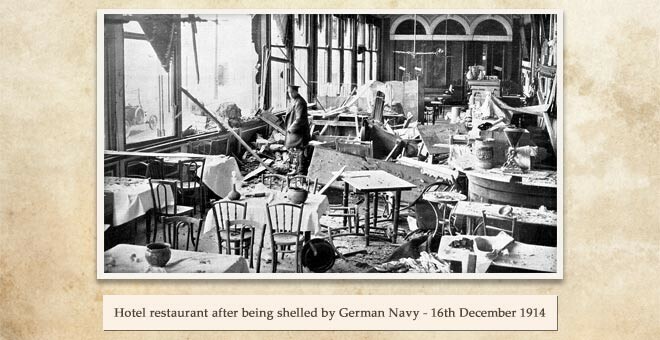 On December 16th 1914, it was estimated that around 30 German artillery shells hit the hotel by the German Navy, with its battlecruisers primarily destroying the restaurant. Although badly damaged, the Grand Hotel went on to recover and become a base in the Second World War. During World War II several RAF men were stationed at the hotel. Anti-aircraft guns were mounted on each of the hotel’s four turrets, making the building a base for the trainee cadets. In turn, the RAF could defend the hotel, preventing another incident like the one from the previous war. After the damage to the hotel during the 20th century, renovation costs came to around £100,000 to get the Grand Hotel back into shape, which took more than two years to complete. In more recent years, the hotel served as a base for SAS agents when the Iranian embassy was under siege. The hotel was used for covert training meant to prepare the agents for further terrorist threats. During the 1960s and 70s the hotel saw a dip in customers due to the rise in airlines and the Brits’ increasing desire for abroad holidays, resulting in a decline in the ‘British Seaside Holiday’. Rumours that the hotel was to be turned into flats were found untrue when holiday park company, Butlins, bought the hotel in 1978. Butlins kept the hotel up and running for the next two and a half decades, maintaining a steady flow of guests, and renovating some areas of the building. The hotel was run by the company until 2004 when Britannia Hotels successfully bought the property, adding our own story in the history of The Grand Hotel. In 2006 Britannia made a £7 million refurbishment to the existing Hotel, in order to keep up the high standard that it’s renowned for. In 2017 the Grade II listed Hotel was awarded and named by Historic Britain as one of the top ten places, buildings and historical sites that tell the remarkable story of England and its impact on the world.